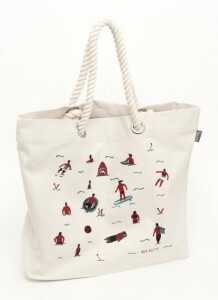 Alex Foster is an illustrator based in the seaside town of Margate, UK. 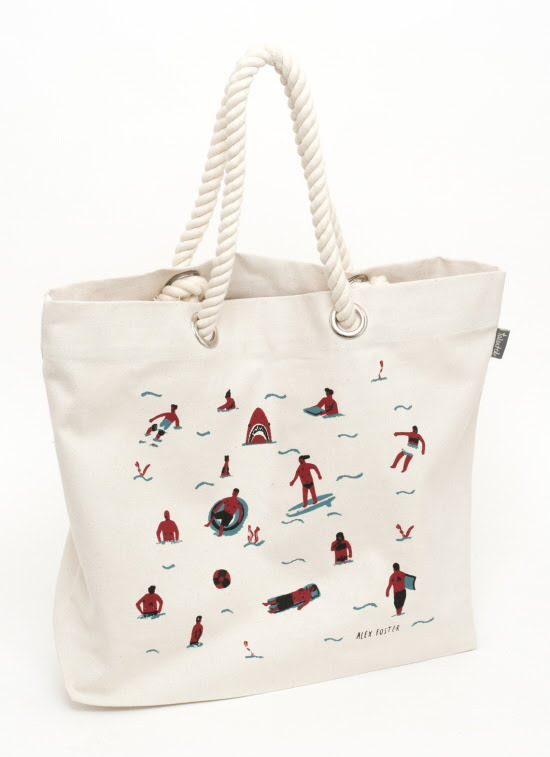 In 2013 he graduated with a first-class degree in Illustration and we absolutely love his quirky, tongue in cheek beach bags – especially the swimmers one with the shark peeking out of one corner! 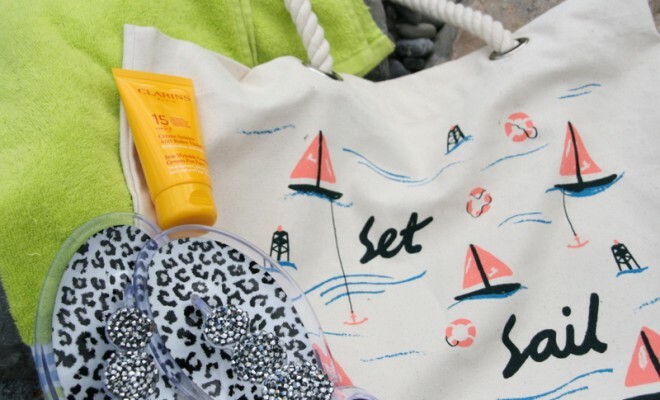 We managed to get our hands on an Alex Foster bag from Talented for a closer look – they really are exceptionally made and extremely practical for the beach! 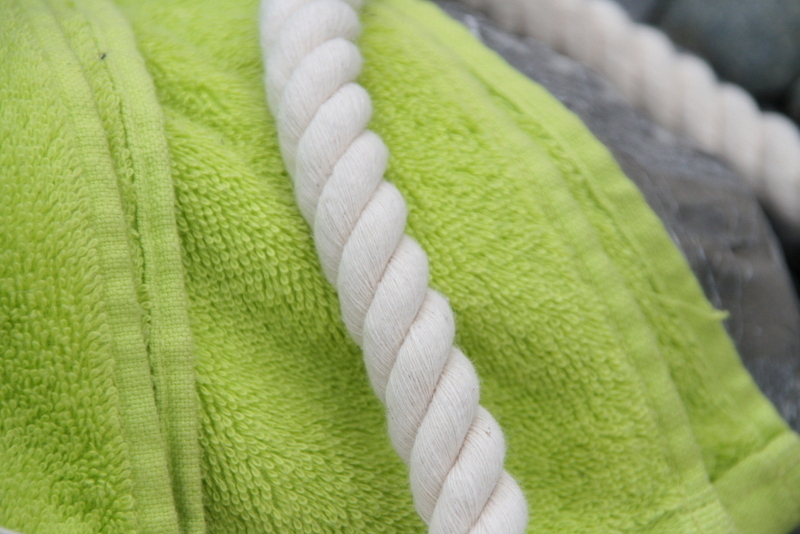 We love the thick sturdy rope handles which are much more comfortable than plastic or thin straps! 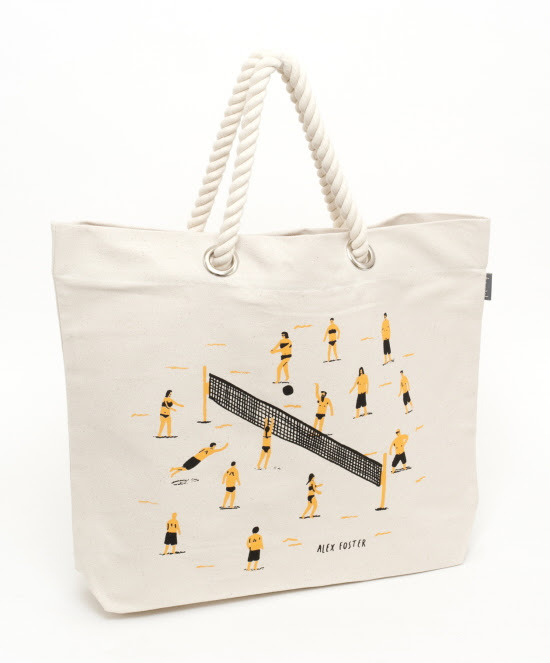 The design on ours isn’t available any more but you can still get the super-cool “swimming with sharks” version or the Beach Volleyball one. 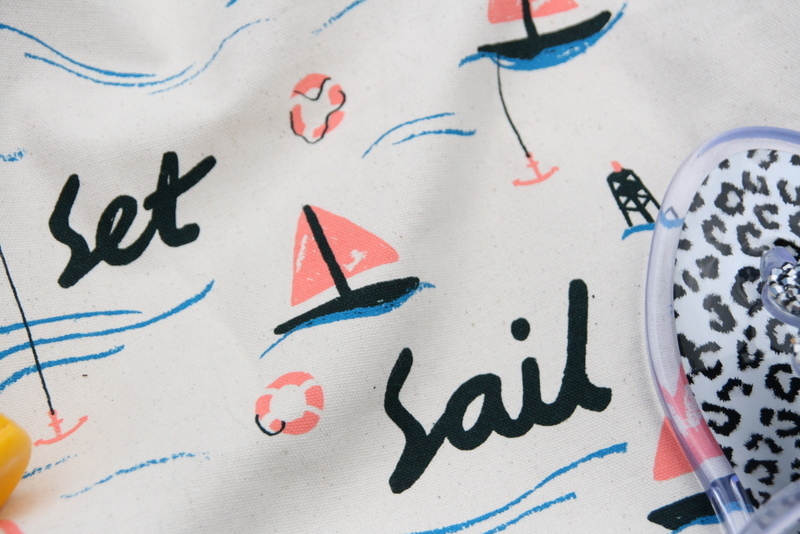 Alex lives in the quintessential seaside town of Margate which provided him with the inspiration for these whimsical, nautical prints.